Review: The Story of the World – Happy. Homeschooling. Housewife. I love history. Actually it is one of my favorite subjects. I am huge non-fiction reader and enjoy my fiction novels nestled comfortably in a historic period. As much as I love the subject, I have to admit it can be a little daunting to teach…especially to a five year old. The Story of the World series was highly recommended by my sister and so I gave it a try. Below I have rated this program and shared some of my personal thoughts as well. I hope you enjoy he review! I give this program 3 Olive Trees!!!! This program was written by Susan Wise Bauer who had a desire to make history a much more accessible and enjoyable study for young minds. The program is broken into four different volumes beginning with the Ancient Times and culminating with the Modern Age. The books are written as great read alouds for children. They go all over the world not staying in any one region too long. In fact, each chapter takes you to another region of the world. Each chapter has suggested activities that correspond to it including map work, questions for discussions, and coloring pages. 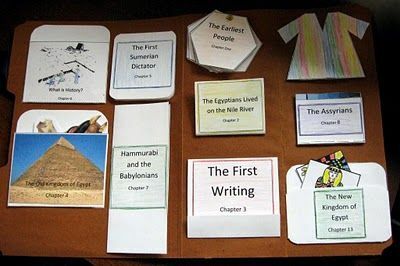 There are also additional books and activities that correspond with the chapter’s topic including cooking and art projects. 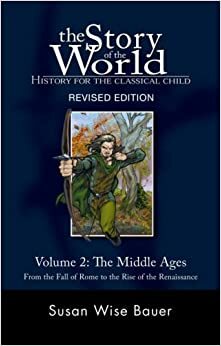 I do really enjoy the story-type feel of the book, it helps to draw the little ones into the story and has them thinking about what would they do if they were right there, smack in the story of history. I also like having activity pages that are age appropriate. There is also a ton of extra resources for each chapter including fiction and non-fiction books you could use to deepen understanding. I enjoyed this program for 1st and 2nd grades. I liked the fact that the girls were starting the history journey at the beginning. By 3rd grade my daughter was older and wanted to delve deeper into what we were studying. It is challenging to do this with all the skipping around. Each chapter, like the other volumes, focuses on a different region of the world. So a child isn’t able to really go as deep and wide as we would like, with the ‘right there’ program. For 1st and 2nd grades (Volumes 1 & 2) my girls really enjoyed creating lap-books. I found they retained the most information when they made and read (and reread again and again) their books. To download lap book pages click here. It used to take a little over a week to get through a chapter. Don’t try to do all the extra activities–there are too many. Pick a few things that you find that your child likes to do and then do more of that. Each volume also has audio readings of the chapters. I highly suggest using this cds. My girls really enjoyed ‘the voice’ reading to them and it did help free up my time to do other things. The audio disk are an extra cost. I sure hope this information is helpful. 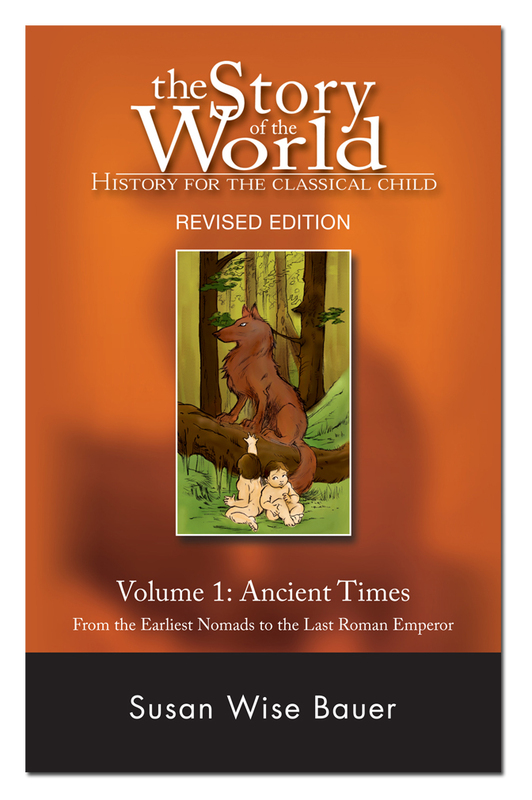 If you have used the Story of the World books I would love to hear about your experience. Have a history program you love, please share that too! Previous Dear Channie: Are There Cons to Homeschooling? Next Be Still. Listen. Reap.